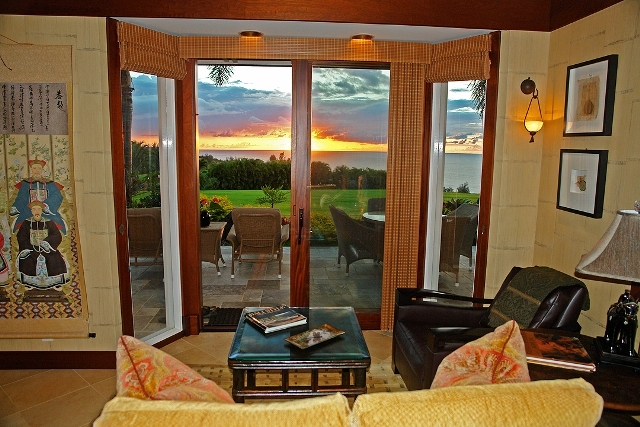 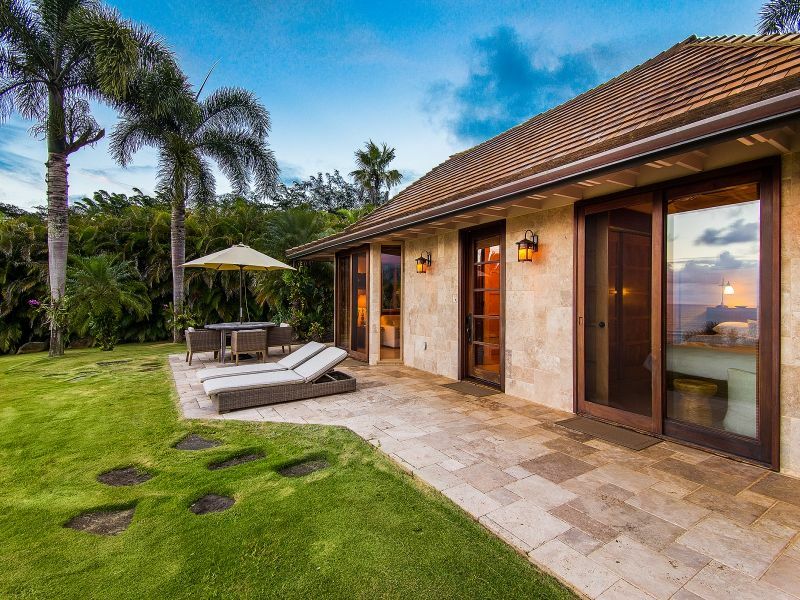 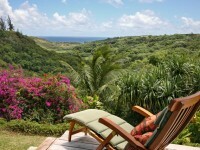 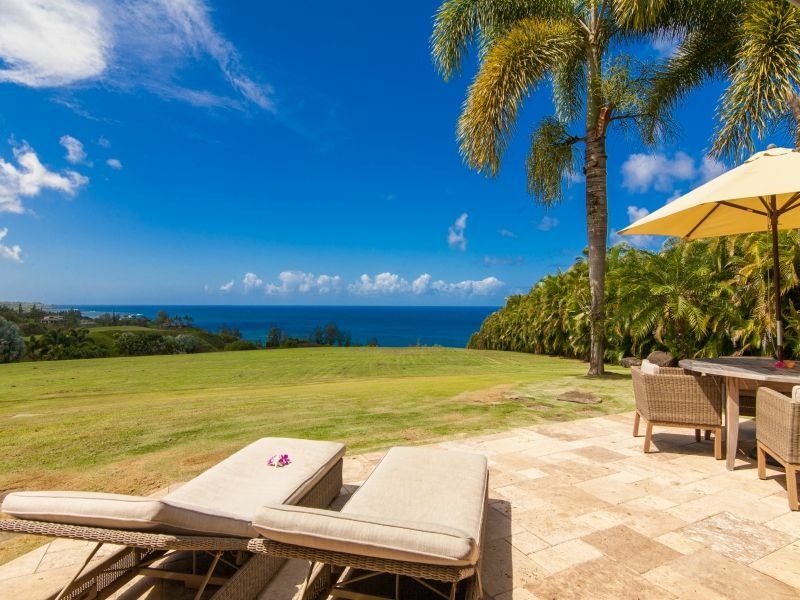 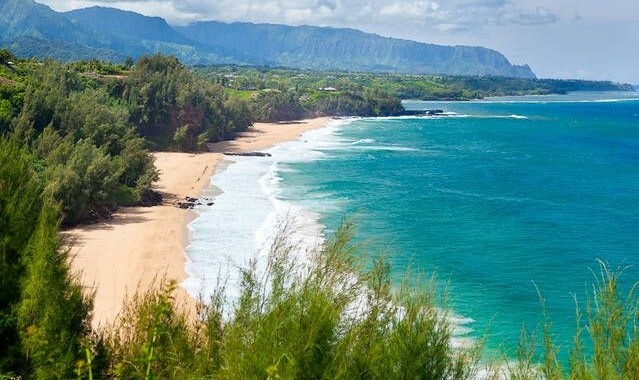 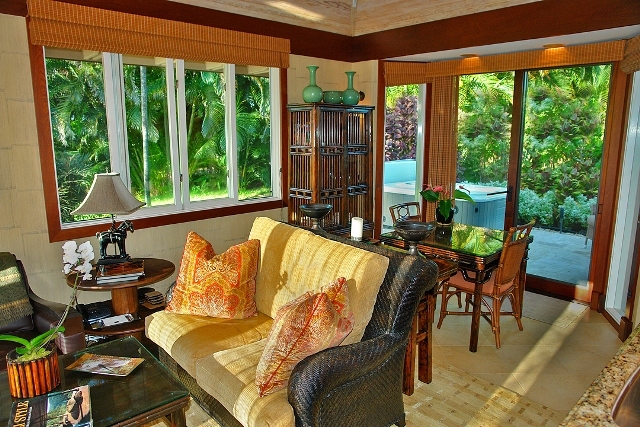 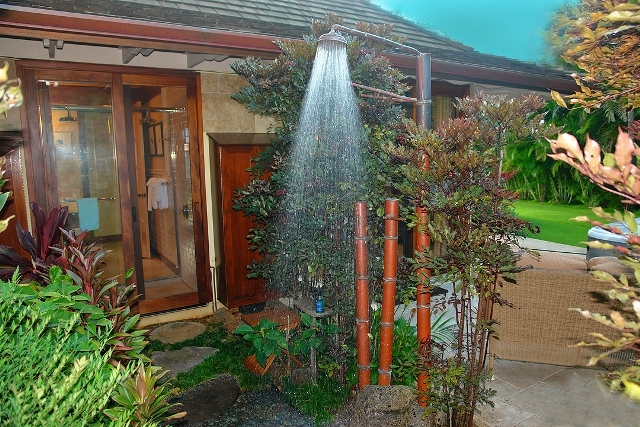 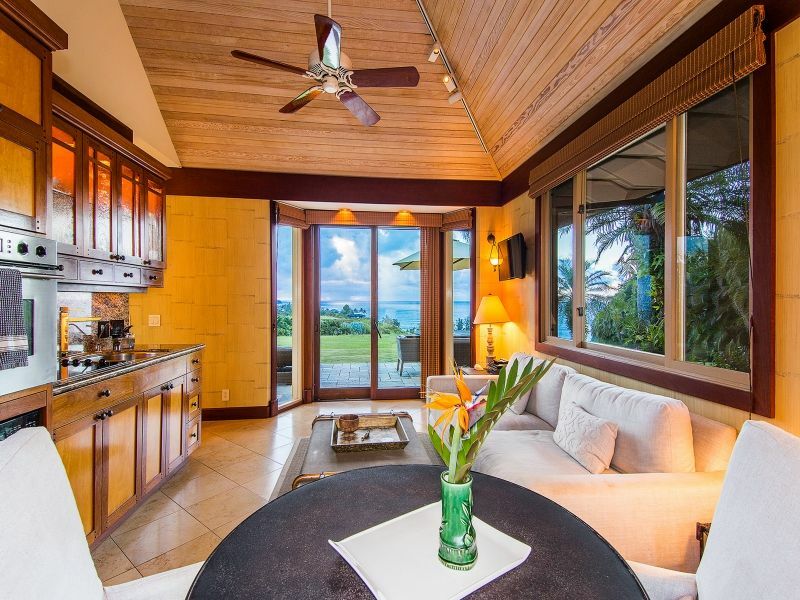 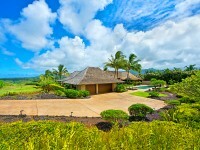 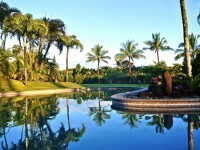 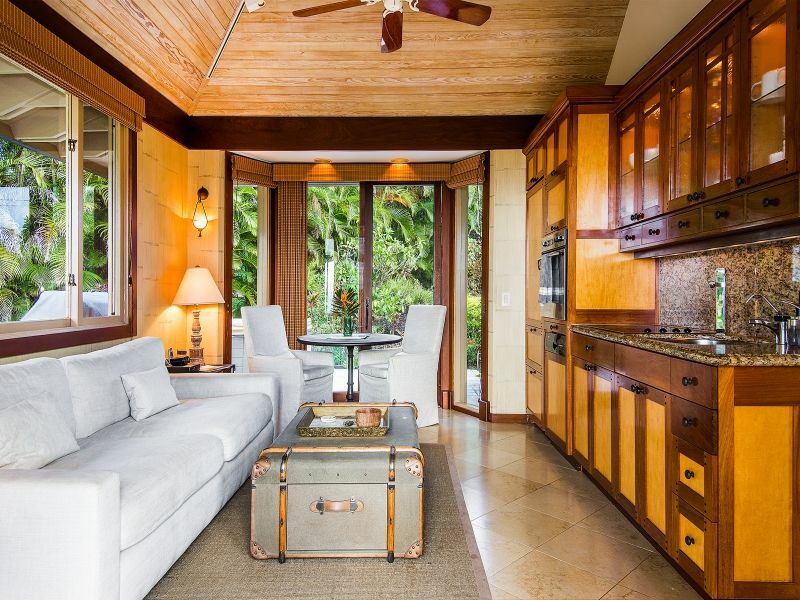 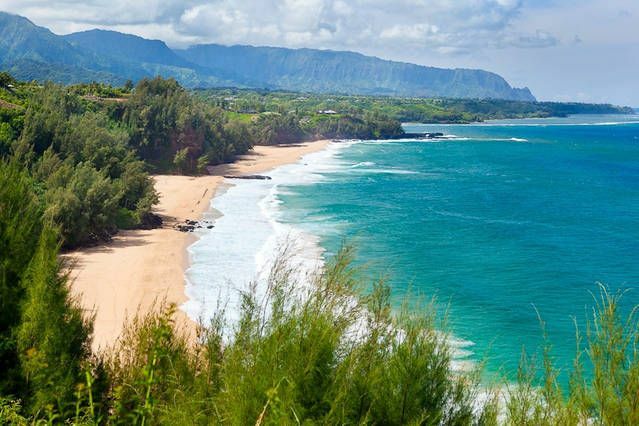 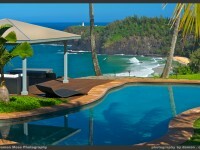 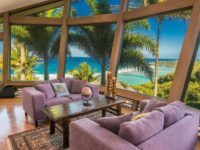 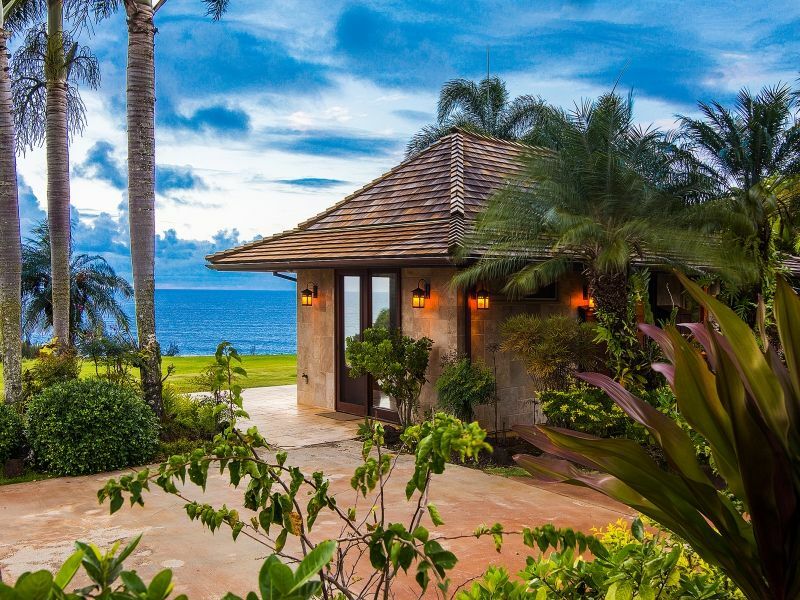 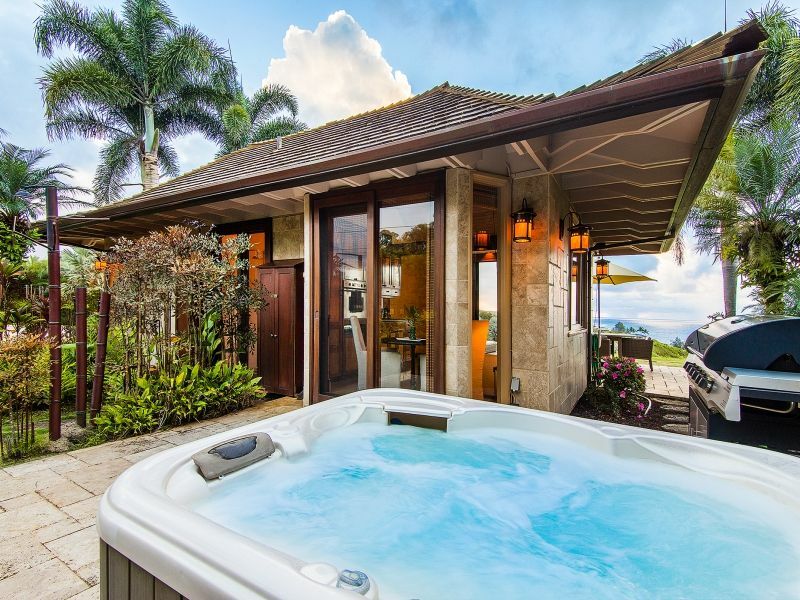 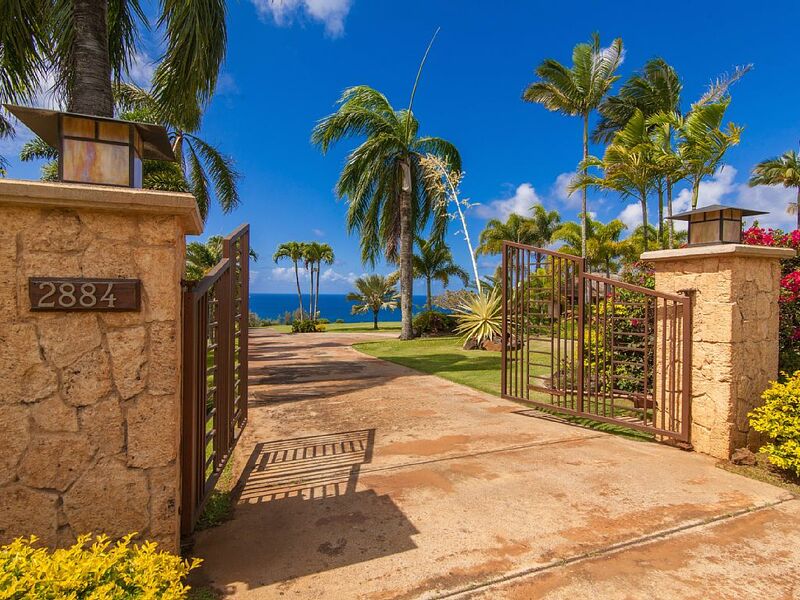 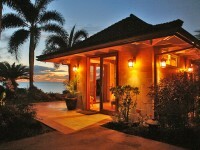 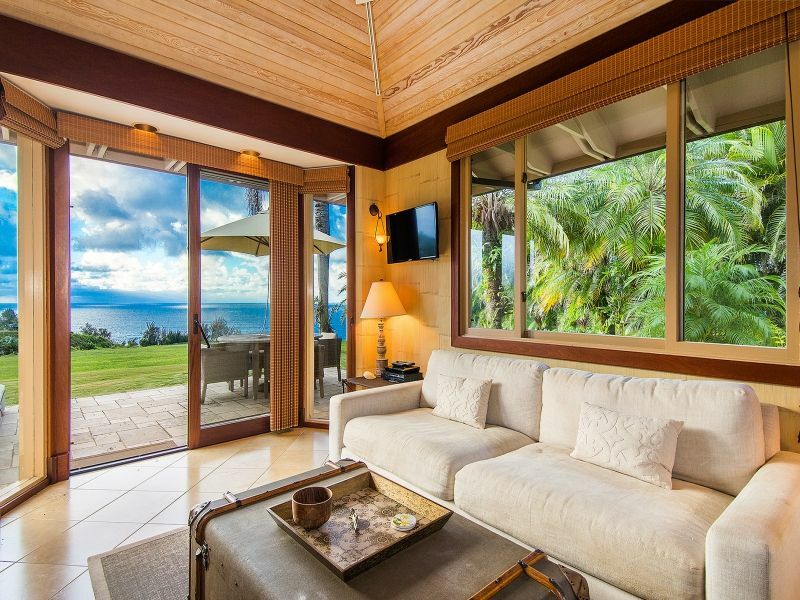 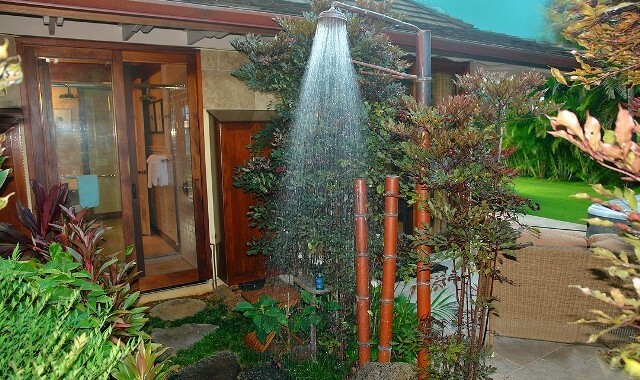 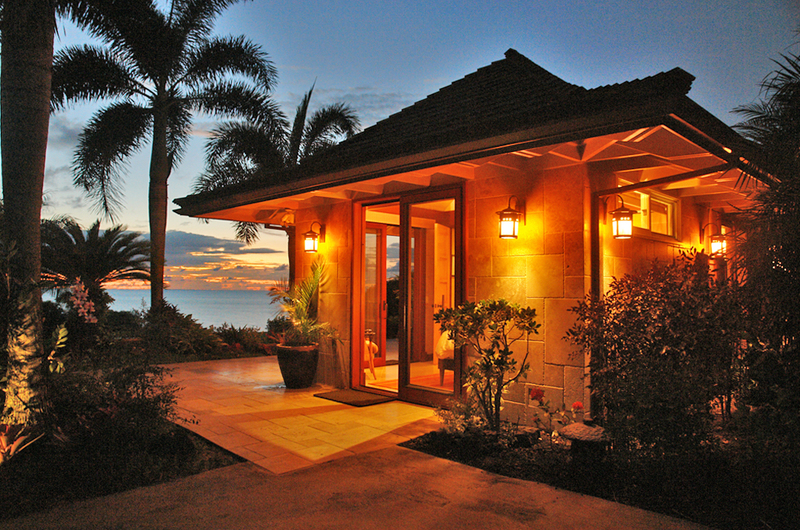 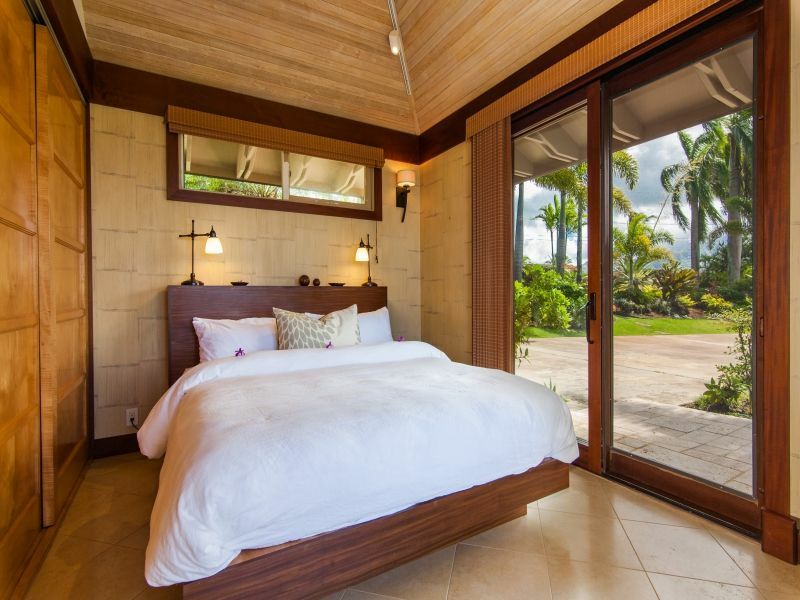 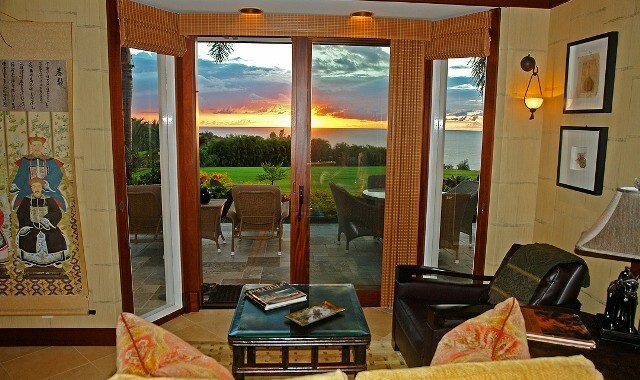 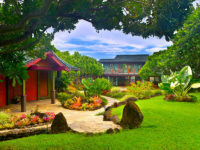 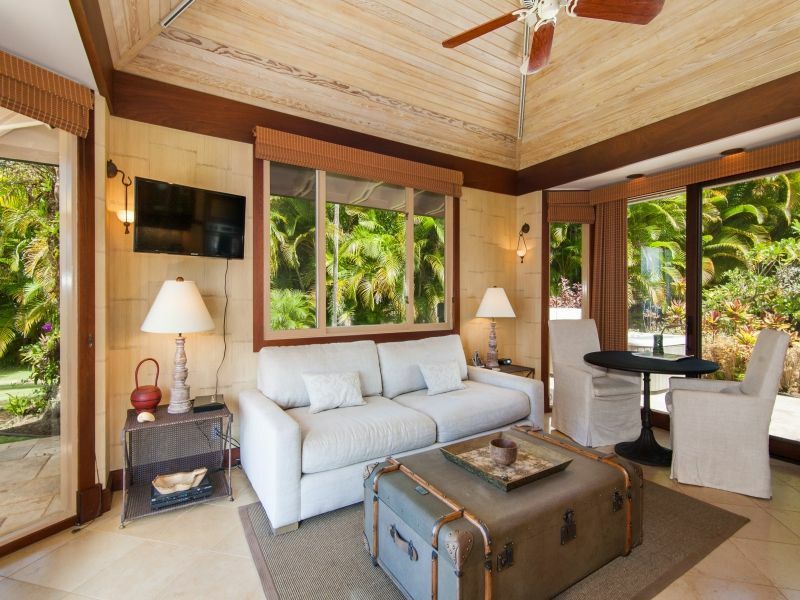 KILAUEA, KAUAI VACATION RENTAL: The epitome of gracious living, the luxurious “Hale Nanea” captures the panoramic views of the azure ocean and famous Bali Hai. 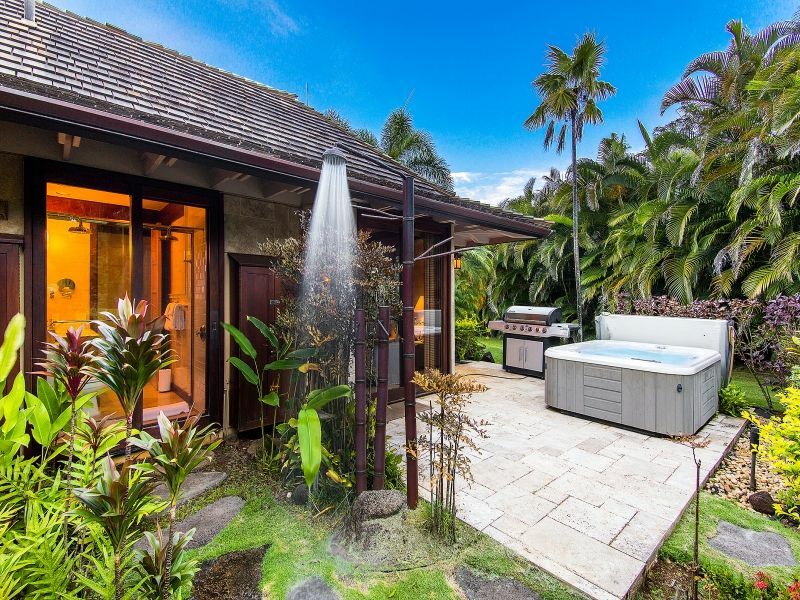 A calming, private tropical garden leads to your own private spa, a perfect place to unwind and experience the softness, beauty and grace of a tropical evening. 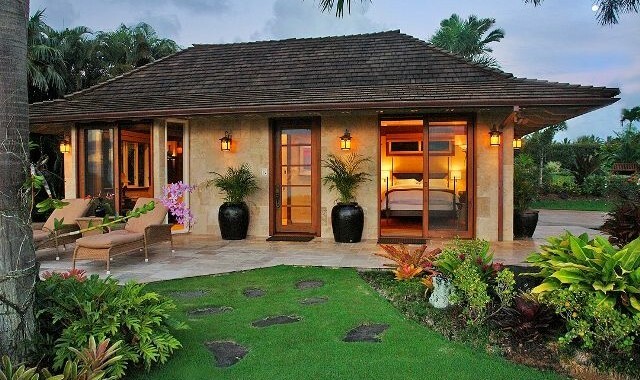 One could not imagine a more romantic vacation cottage. 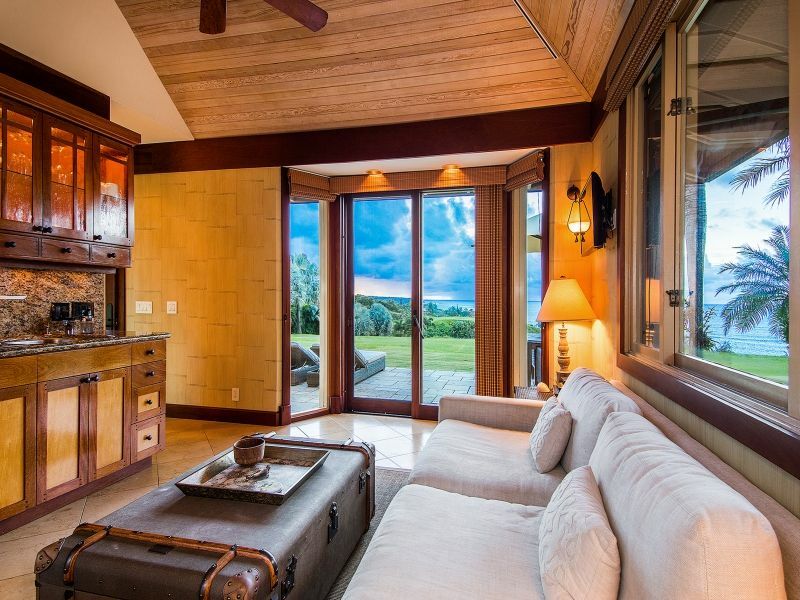 The interior of the cottage is sumptuous and spectacular, warm and welcoming, with dark wood furnishings, custom cabinetry and honed limestone floors throughout. 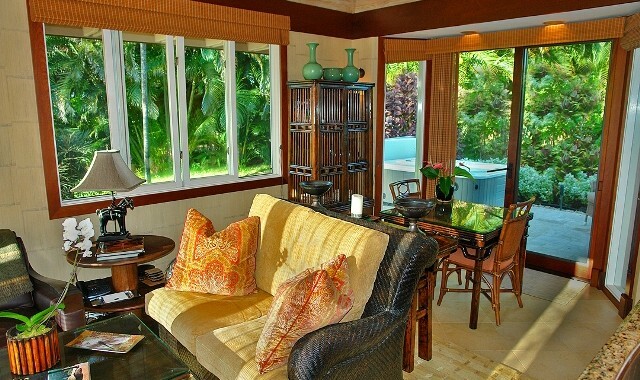 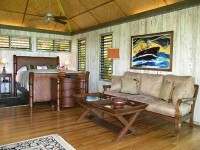 Fresh orchids greet you as you sink into the elegant designer furniture adorned with exquisite tropical silk prints. 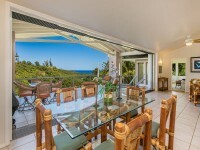 Floor-to-ceiling sliding glass doors in the sitting and dining areas afford compelling views of the sea to the east and the private garden to the west. 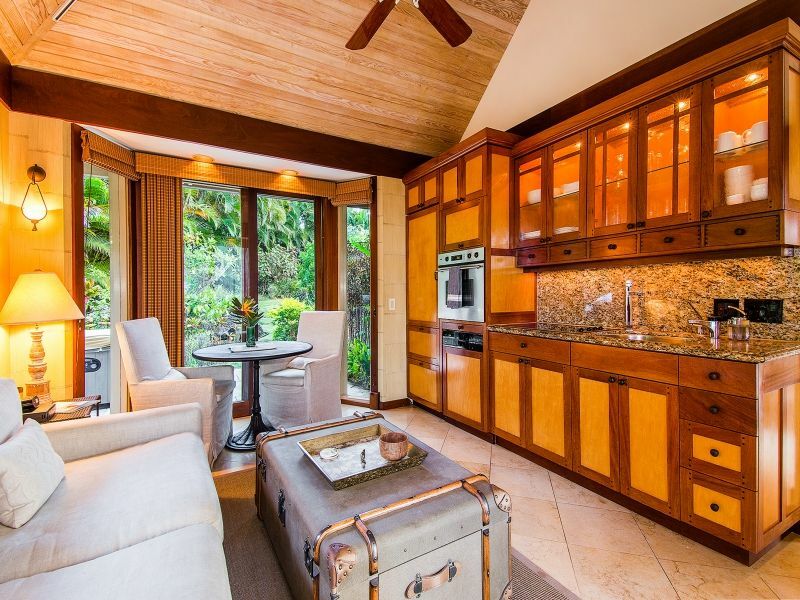 Granite counter tops in the fully equipped kitchen, adjacent to the sitting area, complement the warmth of the wood. 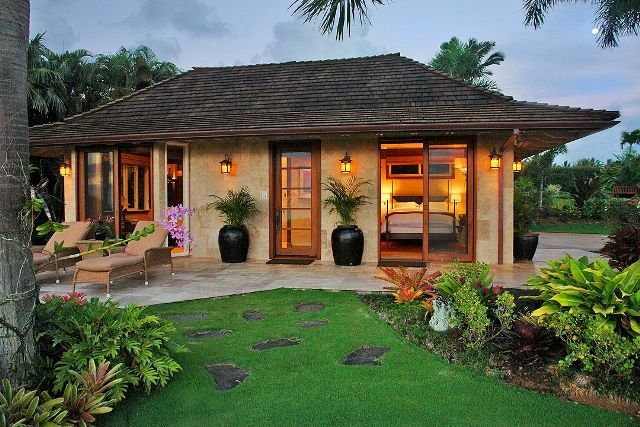 Fine European linens & designer furniture grace the romantic bedroom. 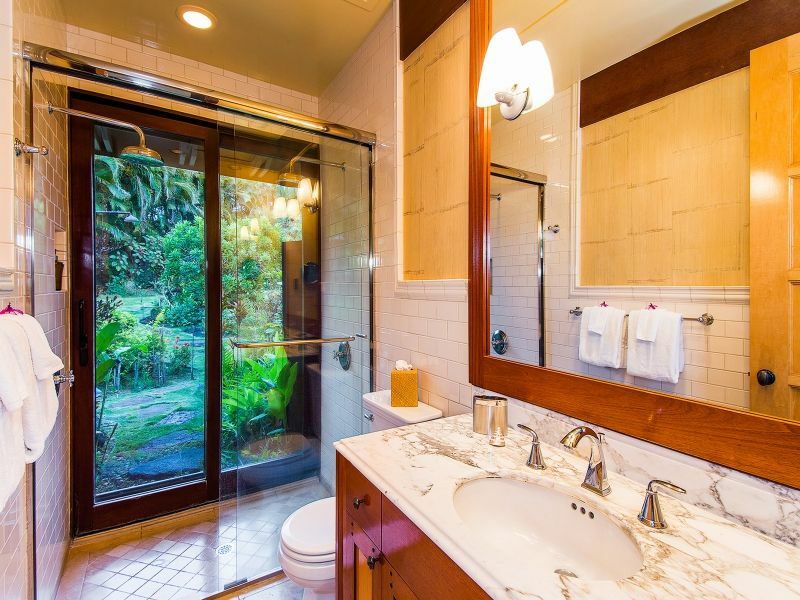 The marble bathroom has a large shower with dual shower heads and glass doors that lead to the private, outdoor sitting area, complete with spa and outdoor shower.